Select projects are on display from Design Fundamentals I, IARC 251, in the library. The projects are supported by a Samford Diversity Development Grant. 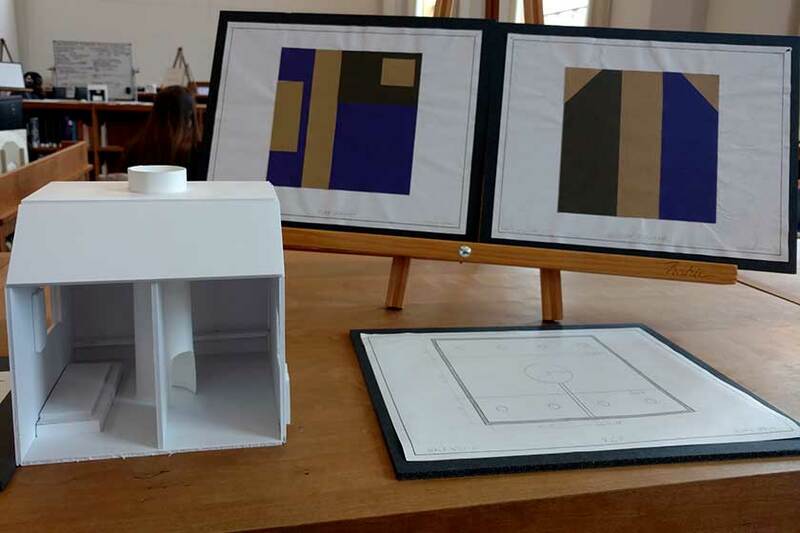 The projects displayed were created by second-year students in the Department of Interior Architecture. The students were introduced to some of the key events of the Civil Rights Movement in Birmingham, Marion and Selma between 1963 and 1965, with a focus especially on the events surrounding the voting rights marches of February and March 1965, and on the nearness of these events to the history of Samford. The students visited the sites of the events and heard from people who participated, responding to these experiences through both representational and emotive abstract sketching.